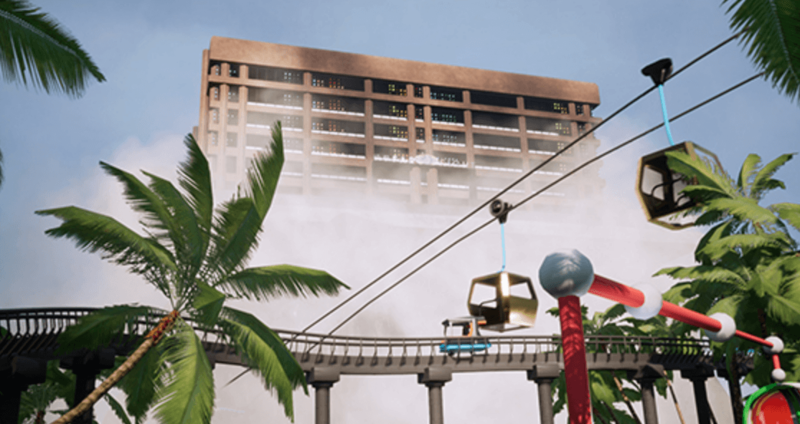 A new exhibition asks: Are we living in digitally-rendered cities? The show Rendered Cities, up at Apexart in Tribeca, addresses the problematic impact of architectural renderings on contemporary architecture. The show’s opening statement asserts that flashy renderings make cityscapes "real before reality," with newly constructed buildings mimicking digitally rendered drawings. Because architecture today originates from a computer drawing, built structures are becoming more and more dictated by digital renderings, leaving space for technology to be more deeply embedded into our surroundings. The notion that architectural renderings create a fixed idea of what a city should look like is especially relevant to the present day, when cities seem more like construction sites than living spaces, and glass skyscrapers are rising in global cities around the world. Featuring work by Felicity Hammond, Lawrence Lek, and Laura Yuile, the show is organized by London's ANGL Collective, a curatorial group comprised of Luís Manuel Araújo, Brenda Guesnet, and Giulia Pistone. The three met in the MFA Curating program at Goldsmiths College in London, and they now put together shows that deal with architecture through ‘fiction and imagination.’ Hammond’s piece consists of a bright green wall and floor installation within which abstract geometric shapes are installed on wooden scaffolds or attached directly to the wall and floor. Her work resembles the world inside of a computer screen—a space with fractured shapes, voids of color, and nothing to orient one's surroundings that blurs the line between real usable space and abstract computer space. Lawrence Lek’s video essay uses footage from the game Assassin’s Creed to move through various cities. For example, the game's character scales Notre Dame in Paris and Egyptian pyramids, allowing a new and physically impossible perspective for the viewer. Rendered Cities notes that Lek’s work traces “the political symbolism of the skyscraper as the global repetition of an urban form and a contemporary manifestation of wealth and power.” It is an example of technology allowing humans to experience space in an enhanced way, allowing for commentary on real places by using digitally rendered ones. Yuile’s work includes an installation and a performance piece scheduled for February 10. The work present at the opening was comprised of three mannequins and a washing machine that had been taken apart and added onto. Yuile’s installation will come to life during a performance piece, Laura Yuile Performance of Unit #1, Maintenance #1. The artist described some of her materials for the piece on her Instagram: “[washing] machine, soap, mannequins; clothing fibers, including human and animal hair and skin cells, plant fibers, and pollen, dust, and microorganisms from my neighbors clothing...” This variety of materials reflects the artist’s voice on familial structures, ways of living, and the effects of advertising. Rendered Cities is on view at Apexart through March 17. Laura Yuile’s performance piece will take place on Saturday, February 10, 2018, from 3:00–4:00 pm. More information on this show can be found here. Get out your calendars. 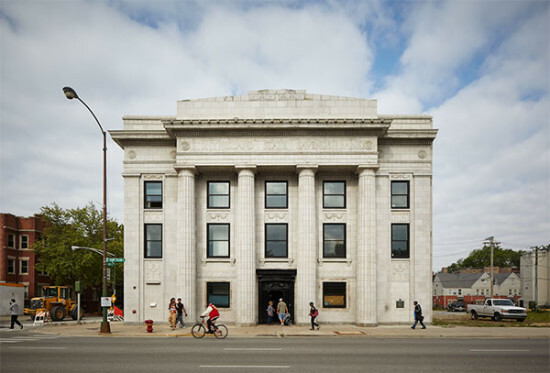 As The Chicago Architecture Biennial draws near to its October 3 debut, the festival's organizers have released a list of events and public programs that should help fill out your social schedule into December. You can peruse the whole list of events on the biennial's website. Features include lectures by Pritzker Prize–winning architects (like Thom Mayne); tours of Frank Lloyd Wright's SC Johnson Campus (which just opened for tours for the first time since its construction in 1950); and a film series exploring "architecture through the lens of cinema." The full list of biennial participants was released last month. It's one of the great joys of being an architect or designer in New York: the city has unique events that one finds in few other cities. 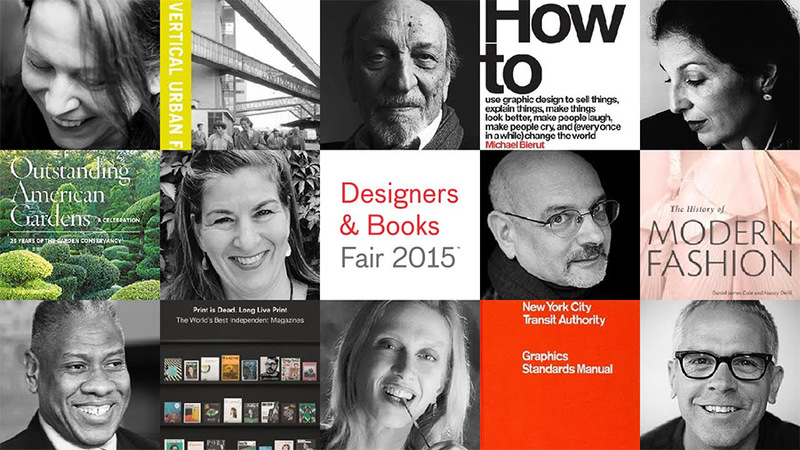 The Designers & Books Fair—scheduled for October 2–4 at the Fashion Institute of Technology (FIT)—is one of those events. It is the only book fair in the world focused on all aspects of design: architecture, experience design, fashion, graphic design, interior design, landscape architecture, product and industrial design, and urban design. This year’s Fair will include more than 70 U.S. and European design book publishers and booksellers displaying and selling the newest titles for the fall, as well as important backlist titles. There will also be notable rare and out-of-print book dealers and established and indie magazines. A new feature of this year’s Fair is “Experiences with Authors,” a creative, alternative approach to book signings. A group of renowned authors have agreed that purchasers of their books at the Fair will be entered into drawings. The winners will have the opportunity to meet the authors and have special experiences designed by the authors. This includes includes a tour of Daniel Libeskind’s studio and a special behind-the-scenes tour of the Eames Collection at MoMA, with the grandson of the Eames’. The fair will take place in the John E. Reeves Great Hall at FIT on 27th street and 7th avenue. 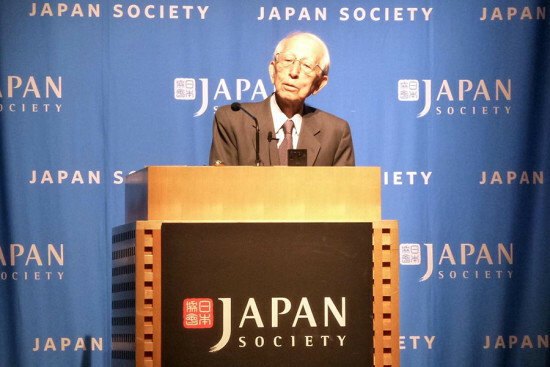 Octogenarian Fumihiko Maki shows no signs of slowing down, based on his presentation last night at the Japan Society in New York City. Going back as far as only the mid-1990s, the Pritzker Prize winner showed a handful of projects that, as moderator Toshiko Mori said, eschew a signature style yet are identifiably Maki buildings. From the beautiful Kaze-no-oka Crematorium (1997) in Nakatsu (which Maki reported a townsperson complimentarily said, "Now we can die in peace.") 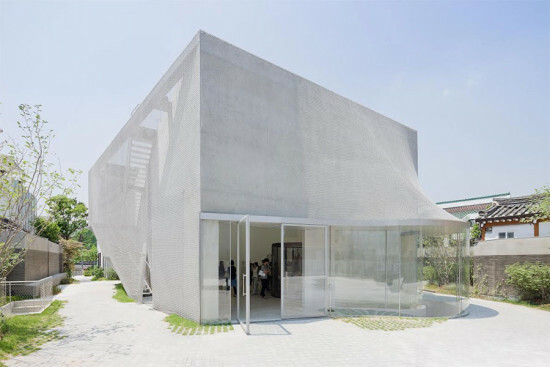 and the equally off the beaten path Shimane Museum of Ancient Izumo (2006) to international projects in New York, Toronto, and Patna, India, Maki showed a wide range of materials, forms, and conceptual reasoning that went into each, but mostly it comes down to the context. “Architecture must establish a rapport with the people, that’s more important than architectural critique,” professed Maki. Maki explained that his influences were a combination of fellow countryman Kenzo Tange and his professor at Harvard, Josep Luis Sert, of course with a dash of omnipresent Le Corbusier, who Maki noted “was always wearing bowties.” These connections to the Metabolists and CIAM helped launch Maki’s lifelong career as a theorist and commentator, most recently in his highly public opposition to Zaha Hadid’s design for the New National Stadium in Tokyo for the 2020 Olympics. Maki defended his position saying, “An architect who knows better has a responsibility to point out to the public” faults of scale, cost, context and the limited time to develop the design. Also of timing, Mori and Maki discussed the imminent demise of the classic Hotel Okura Tokyo. The mid-century icon designed by Yoshiroo Taniguchi is slated for demolition in September to make way for a new hotel to service Olympic tourists. The pair hope that minimally the lobby could be relocated and preserved. Designjunction a London-based showcase for cutting-edge design labels (including Decode, Muuto, Modus, and Another Country) and young and emerging designers will stage its first U.S. show on May 15th. 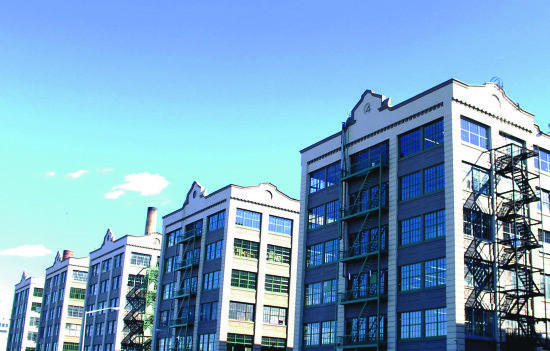 The fair will take place at Art Beam (540 West 21st Street) and The Architect’s Newspaper will be there. William Menking, AN's editor-in-chief, will interview SO-IL partner Jing Liu about the young Brooklyn firm's growing portfolio of projects here and abroad. The breakfast-time conversation will begin at 9:00a.m. 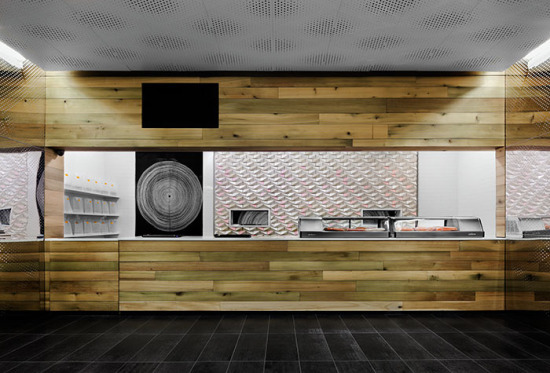 on May 15 at Art Beam and guests may RSVP at designjunction. The New York Preservation Archive Project’s Eleventh Annual Bard Birthday Breakfast Benefit is taking place at the D&D Building on December 10th. 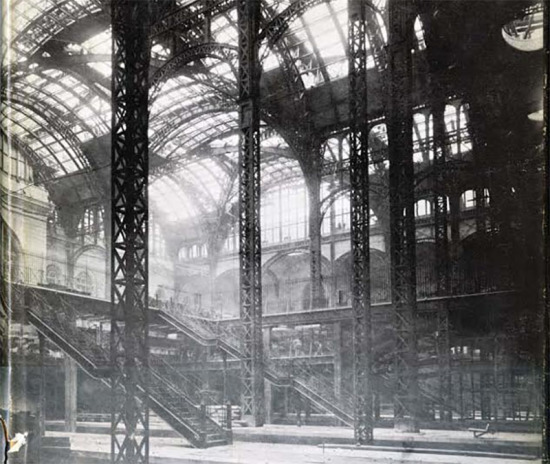 The Archive is devoted to documenting, preserving, and celebrating the history of historic preservation in New York City and bringing its stories to light through public programs, oral histories, and the creation of public access to information. The breakfast will celebrate early New York preservationist Albert S. Bard with a lecture from Nathan Silver, author of Lost New York (newly revised and updated). This landmark book, first published in 1967 and updated in 2000, defined an era of fresh thinking about historic architecture meeting the wrecking ball. Mr. Silver will propose innovative ideas for conservation that transform threatened buildings and urban places. Benefit tickets range from $75-$300. Tickets can also be purchased here. Tonight is the opening night of the New York City exhibition that features the four finalists in the vision42design competition. 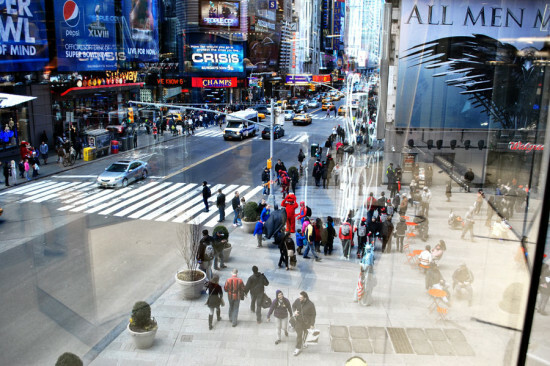 The international competition was launched in April of this year, and asked designers to reimagine Manhattan's 42nd Street as an auto-free, light-rail thoroughfare that could serve as a model for a 21st century transportation corridor. The four winning proposals will be on display through January 15 starting tonight at the Condé Nast building at 4 Times Square. Come by for a cocktail reception beginning at 6:00p.m. Hope to see you there. Tonight, at the Hafele Showroom in Manhattan, you can see the architecture and design firm, form-ula—one of the winning teams from this year's New Practices New York—present its work titled "Dormant Arousal." New Practices is a biennial competition that was created in 2006 by the AIA New York Chapter to recognize innovative architects and designers throughout the city. This evening's presentation is being led by Richard Sarrach, Tamaki Uchikawa, and Ajmal Aqtash from form-ula. "The world is full of things more powerful than us that are hiding in plain sight and if you know how to reveal them you can do amazing things," said the designers in a statement. "By harnessing these invisible forces and directing them into a material practice, we are finding new ways to think about the interface of architecture. Our interests lay in the aesthetics of these performances and how they can change the way we occupy and engage with space." 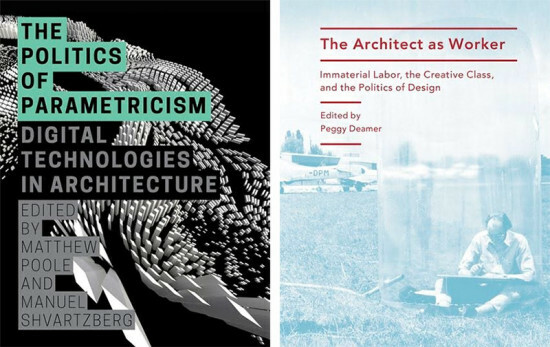 For more information on tonight's event, visit the Center for Architecture's website.